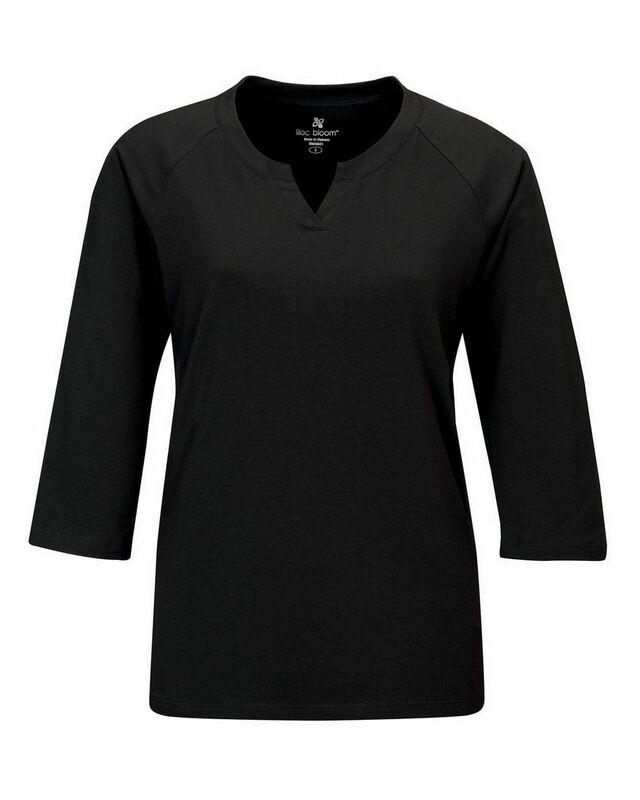 6.7 oz, 95% cotton, 5% Spandex Jersey split neck knit shirt, ¾ sleeves. Special Features: Easy care, Tag less. Beautiful Sweater, Fabulous quality. Will purchase again.